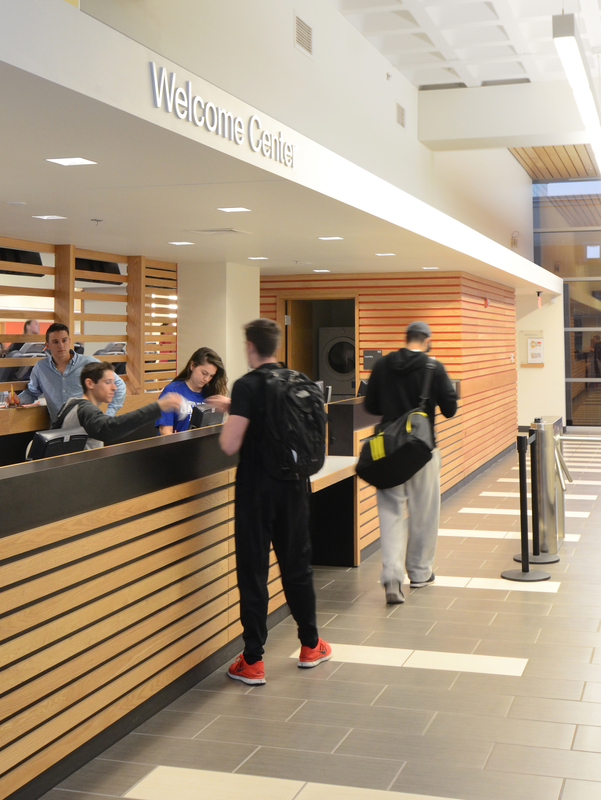 The new Anna Fascitelli Fitness and Wellness Center is at the heart of the University of Rhode Island’s campus. 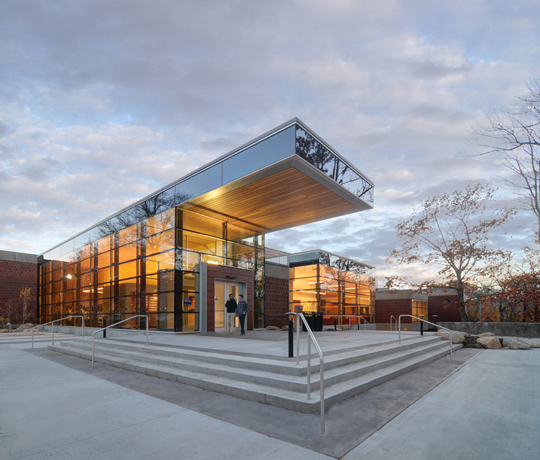 With a bold, wood lined cantilevered entrance and glass volumes that reflect the wooded surroundings, the facility is intended to be an exciting, contemporary amenity. However it is in reality a case study of how mid-century modern buildings can be re-imagined and refreshed by using a preservation sensibility viewed through a creative lens. 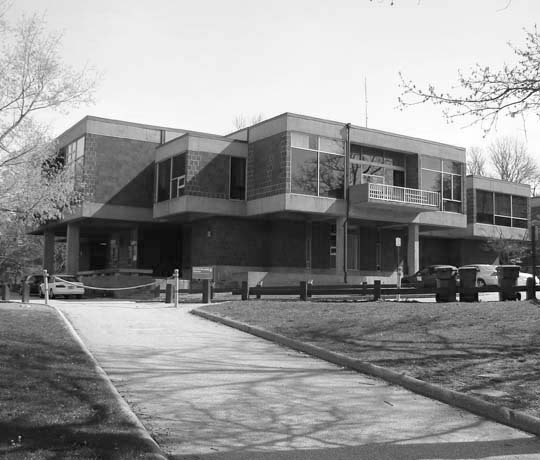 As a former dining hall, the original Roger Williams Commons building was designed by Pietro Belluschi, and winner of a 1965 Progressive Architecture award and already boasted large, light, open spaces. 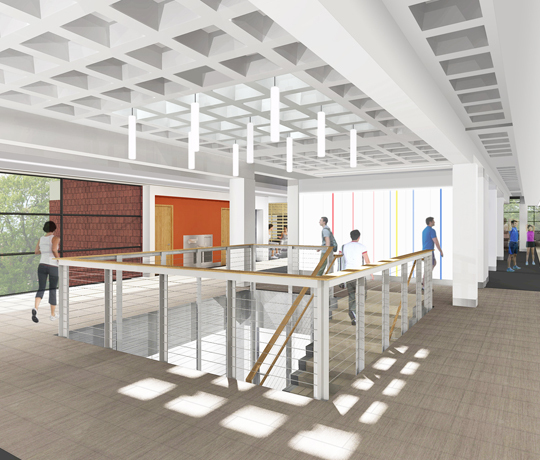 The new design is inspired by the original building’s cantilevered structural volumes that grow from the center, and adds new volumes with a lightweight glass structure to form a new entry, lobby, and stair. The interior was opened up dramatically exposing views through the building. 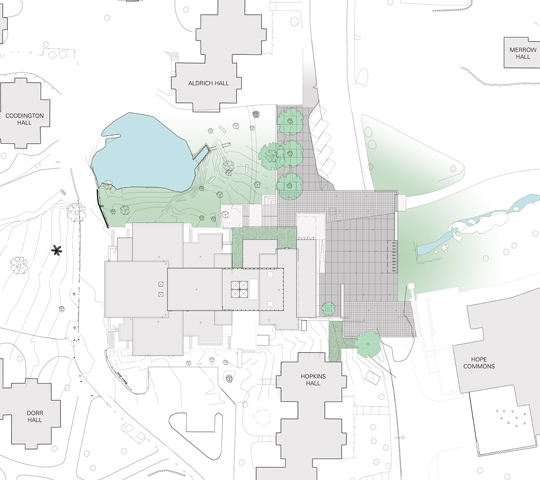 The interior is light-filled, open, and vibrant, and projects energy outward to the campus. Special attention was given to the original orientation to the quarry pond to the south which appeared in original renderings, but had long since become overgrown. 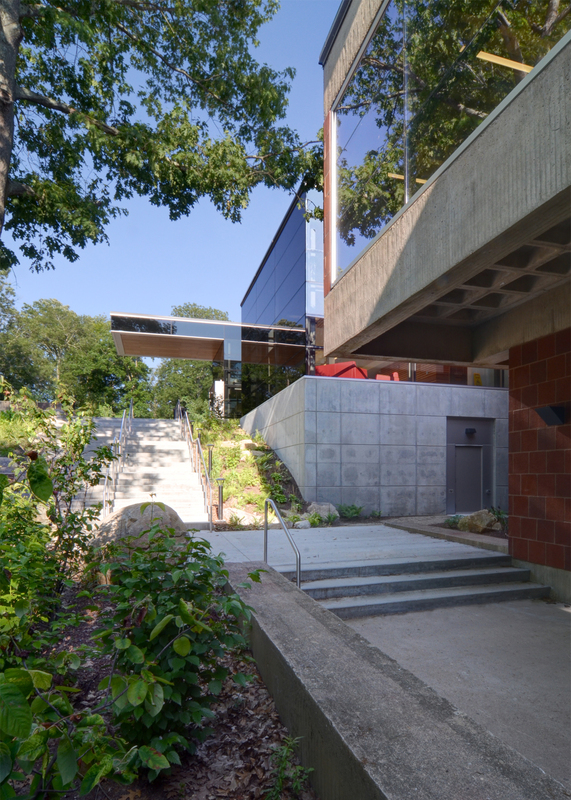 New additions and interior spaces such as a mind-body studio were opened to face the tranquil natural scenery. KITE enlisted the help of a masonry preservationist to restore the original terra cotta walls, and added a contemporary rain-screen terra cotta tile to new walls and infill areas. 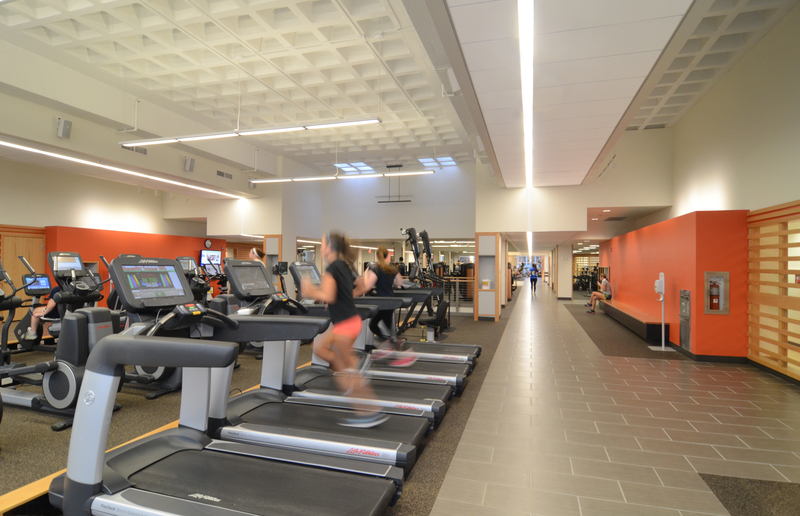 The fitness center is oriented towards undergraduate students who live on campus and is centrally located to many of the dormitories. 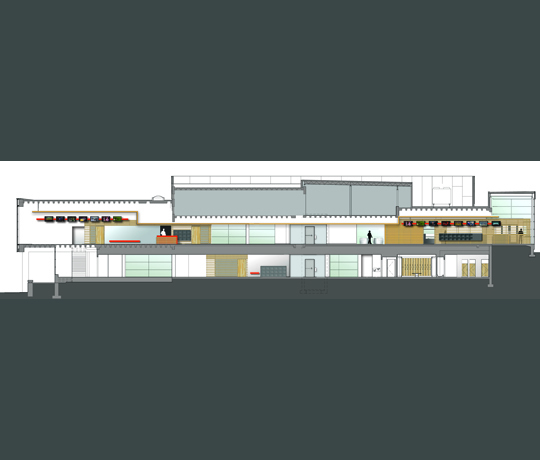 It includes new cardio and weight training areas, studios for group classes, and expanded wellness and health offerings. KITE worked with specialists S3 Design to ensure the fitness facilities were state-of-the-art. The project has achieved the certification of LEED-Gold level. 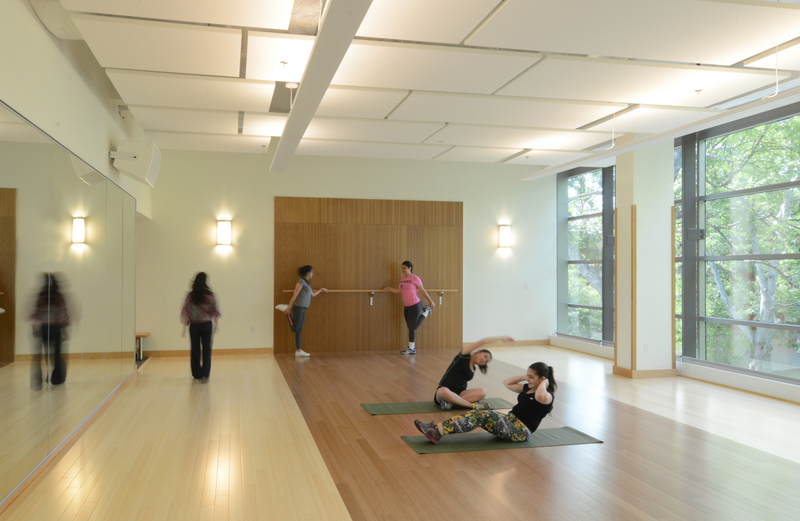 Green aspects include features geared toward the fitness center environment, such as bottle fillers to encourage re-usable containers and avoid pre-packaged bottled water, and athletic flooring made from recycled rubber. 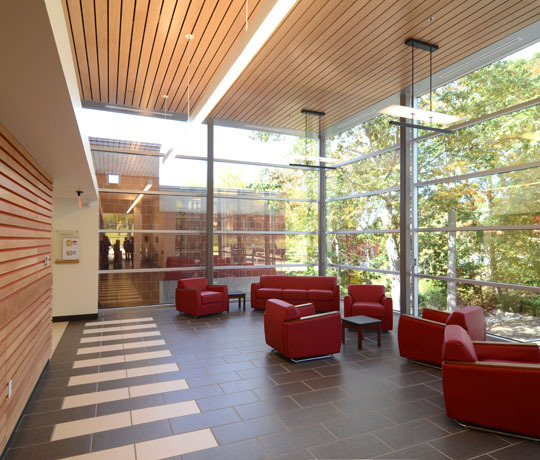 All new heating and power systems optimize energy use, and new full glazing and exterior wall retrofits conserve energy.